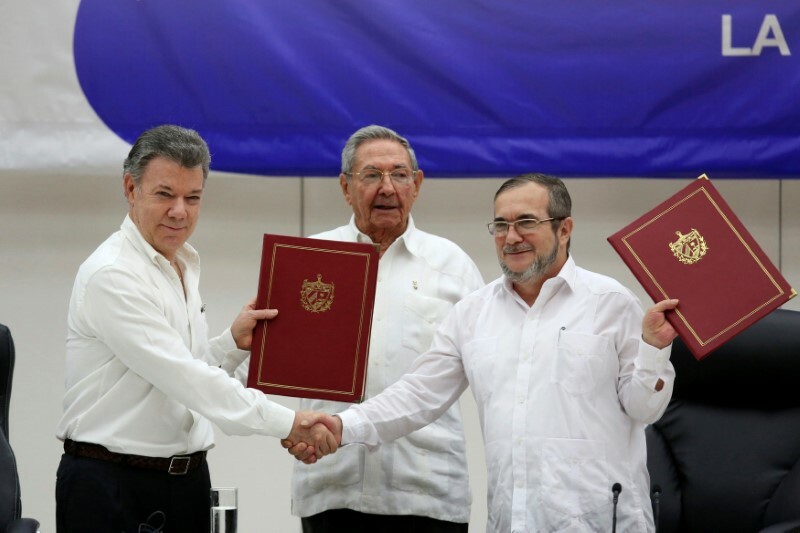 What Comes After Colombia’s Peace Deal? The groundbreaking news reached me when I was in Bogotá in a meeting with the head of the Colombian Army: after more than 50 years of armed conflict, and four years of negotiations, the Colombian government and the leftist guerrilla group, the FARC, have reached a final peace agreement. The historic deal looks set to bring to an end the longest running war of recent history. The agreement is cause for huge celebration, but an official end to war with the FARC is only the start of the road to peace. Securing sustainable peace needs a balance of addressing the immediate security risks during the period of transition, as well as anticipating the long-term challenges that may emerge. The deal states that the FARC will lay down their arms and make the transition towards being a legally recognised political party. On Monday, 29 August, the definite bilateral ceasefire will start. This will be no easy task for the guerrillas, who began their fight against the state back in the mid-1960s as a leftist group championing the needs of the rural dispossessed. More than 220,000 have been killed in the ensuing conflict which became every time more intertwined with the illicit drug trade, involving not only the FARC, but also other insurgent, paramilitary and criminal groups. The deal is proof that the government and the FARC are making a huge step forward towards peace in the violence-ridden country. But despite such a momentous agreement, the peace deal, including the proposed 180-day long demobilisation process, is still subject to the approval of the Colombian population. A “yes” or “no” referendum is due to be held on October 2. It is not yet clear cut which side will win. It might be hard for the casual observer to see why the Colombian people wouldn’t want peace. But both in the large cities and in rural regions some people’s enthusiasm for peace has clashed with the scepticism of others. As a taxi driver in the capital city, Bogotá, put it to me on the morning after the peace deal – how can Colombians be sure that ex-FARC combatants, after a life in the jungle, will be able to reintegrate into civilian life? Will they not use the demobilisation as a pretext to continue life as entrepreneurs of violence, fuelling insecurity in urban areas? On the other hand, we have to consider that people in marginalised rural regions, who have been hit hardest by the ongoing fighting face huge uncertainty. For generations, their lives have been caught up with the fighting. Without knowing what peace will bring, and whether the situation may deteriorate, they might prefer to maintain the status quo. Local elites could also jeopardise the process if they stand to lose some of their considerable power as a result of the peace agreements. Any threat to their political or economic position, may give them an incentive to violently deter state interventions. The government will need to reassure people that voting for peace will produce positive change. Engaging in a dialogue with rural populations on the ground is key. This should go beyond sending messages from Bogotá, and should include the different indigenous languages spoken in Colombia, to show a real commitment to those people. If “yes” wins the vote and the deal goes ahead prioritising the protection of civilians is critical. In the immediate post-FARC period more violence is possible, as a number of other armed groups –- old and new, leftist and rightist –- fight to take the FARC’s place. In many parts of the country, third parties are often better placed than the state to fill power vacuums. The leftist ELN group, for example, has assumed governance functions such as the provision of basic services or conflict resolution in regions such as Arauca, in north-west Colombia, for decades, ensuring local support where the state has been absent. Life will be extremely unstable for local people until it becomes clear who the new “ruler” is. Civilians living in areas where the FARC were previously operating could also be stigmatised as FARC collaborators. Without the FARC’s protection, civilians’ lives are at risk if they are exposed to violence from any of the other armed groups still active in Colombia. Equally, civilians risk punishment by groups other than the FARC for participating in processes perceived to be against their interests, such as the peace deal. The management of risks to civilian security in the initial transition period is therefore critical to long term stability. To this end, the country’s security apparatus and the United Nations Mission in Colombia are busy preparing the complex process of the FARC’s demobilisation. The UN is mandated to collect weapons and monitor the disarmament process, to take place in 23 “normalisation zones” and eight camps that the government and the FARC had identified together. In these territories, which are distributed across the country, former FARC combatants will gather to lay down their arms and prepare themselves for reintegration into civilian life. The normalisation zones will be surrounded and secured by three safety rings. The UN and international observers are in charge of the inner one, the police are charge of the middle one, and the armed forces of the outer ring. Preventing violence within the zones is of the highest priority. Yet the armed forces will have to be prepared against threats from the outside. These could come from armed groups such as the ELN, or one of the many right-wing and criminal groups involved in the illicit drug trade and other forms of transnational organised crime that plague the country. Just one unintended shot could have destabilising effects for the entire demobilisation process. Protocols have been put in place to avoid or address even a single soldier’s mistake on the tactical level. High levels of international attention and the presence of UN observers in the field are likely to deter violent actions in or near to the normalisation zones. However, once the UN leaves and the normalisation zones cease to exist, violence may return. Unresolved grievances may also fuel acts of retaliation by other armed groups against former combatants. These ex-FARC members will also be vulnerable to recruitment (by force or willingly) by other violent non-state groups. As a result, groups such as the ELN may be strengthened. After the immediate demobilisation process is over, a reshuffling of participants in illicit activities will produce power struggles over roles in the drug trade, gasoline smuggling, human trafficking, sexual exploitation and other forms of organised crime. Both ex-guerrillas, and military personnel who may have to leave the armed forces due to budget cuts will now face the difficulties of a transition into civilian life. Reintegration programmes are crucial not only for former combatants but also for those who have served their country for years. Securing peace therefore requires the coordination of all security-related government institutions across ministries, in partnership with the UN, and in line with the protection needs of civilians. This joint effort can boost confidence in tackling both immediate and long-term security challenges, paving the way for the Colombian people to vote “yes” to peace. 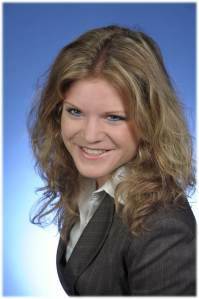 She is also Research Associate at the Centre on Conflict, Development and Peacebuilding, Graduate Institute Geneva, and holds a doctorate from the Department of International Development and St. Antony’s College, University of Oxford. Her previous research included extensive fieldwork in the war-torn and crisis-affected borderlands of Colombia, Ecuador and Venezuela, analysing the relationships among rebels, criminals and paramilitary groups and exploring their impact on citizen security. Her interests as an academic, consultant and practitioner lie at the interface of conflict, security and transnational organised crime, especially drug trafficking as well as terrorism, peace building and governance. She is particularly fascinating by the role that violent non-state groups play in these dynamics.